CAMP HILL, Pa. — The Rite Aid Foundation this week announced donations to aid the wildfire relief effort in Southern California and help children through its KidCents program. A $100,000 donation is being made to the American Red Cross to help the victims, families and communities in Southern California affected by the devastating wildfires. “Our thoughts and prayers go out to everyone affected by the wildfires, which are being counted among the worst in California’s history,” Rite Aid Foundation president Kermit Crawford said in a statement. “The Rite Aid Foundation is proud to partner with the American Red Cross to help the people and communities in Southern California in their time of need, and it’s our hope this donation will aid them as they start to rebuild and recover,” added Crawford, who’s president and chief operating officer of Rite Aid Corp. Meanwhile, the Rite Aid Foundation said it’s awarding $2.2 million to partner charities through its KidCents Holiday Wishes program. Each of the more than 440 KidCents charities will receive a $5,000 grant to help make a holiday wish of their choice come true. The KidCents charities were asked to pick the wish they felt would have the most impact for those they serve. Holiday wishes ranged from facility and equipment repairs to operating supplies to holiday care packages and gifts to training and special programming to help improve the health, safety and well-being of the children they serve. 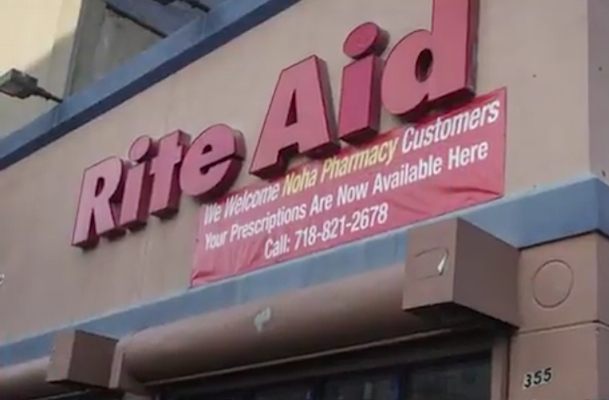 The foundation’s KidCents program enables members of Rite Aid’s wellness+ with Plenti rewards program to round up their in-store or online purchases to the nearest dollar and give their change to charities focused on children’s well-being.